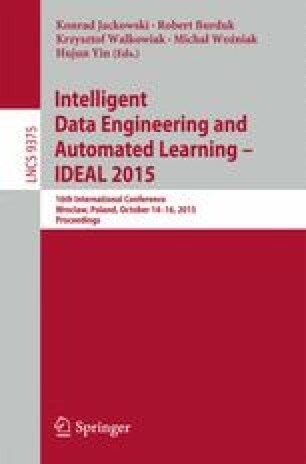 In recent years, much research has been devoted to the analysis, modeling and design of multi-agent robotic systems. Such systems are composed of a set of simple agents that self-organize to perform a task. Given the parallel structure, also happens to be a very robust solution. This paper focuses on the development of a behavioral model of each agent of the system, from which, defining simple behavior and interaction rules, it is possible to set the emergent behavior of the system. The interaction model takes elements observed in bacteria and establishes a structure at the agent level and the system level. The proposed model is validated through the design of a basic navigation task where the robots form autonomously groups without any external interaction or prior information of the environment or other robots. This work was supported by the District University Francisco Jos de Caldas, in part through CIDC, and partly by the Technological Faculty. The views expressed in this paper are not necessarily endorsed by District University. The authors thank the research groups DIGITI and ARMOS for the evaluation carried out on prototypes of ideas and strategies.